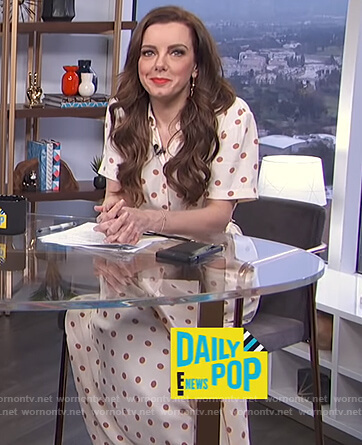 Melanie's white striped sweater on Live from E! 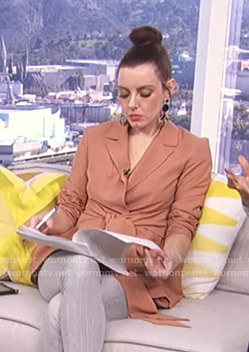 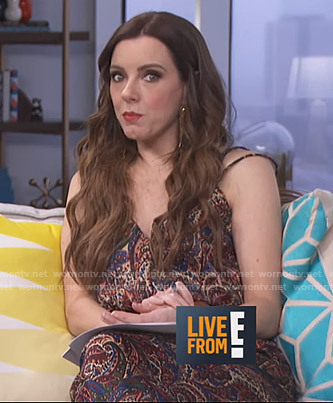 Melanie's grey button front jumpsuit on Live from E! 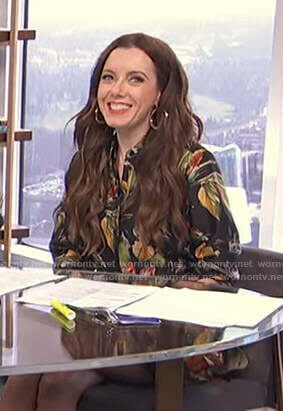 Melanie's green snake print shirtdress on Live From E! 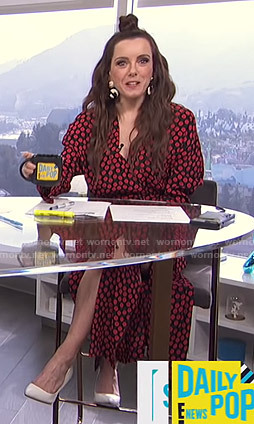 Melanie's red knot front dress on Live from E! 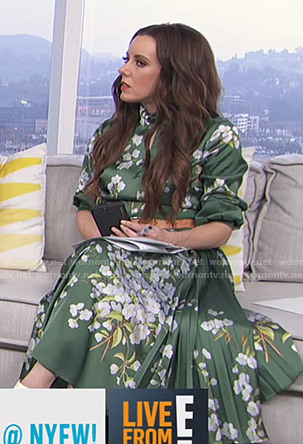 Melanie's green floral keyhole dress on Live from E! 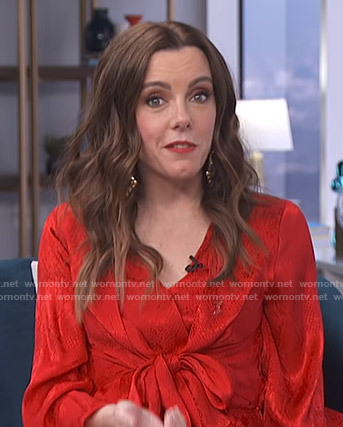 Melanie's orange tie waist wrap blazer on Live from E! 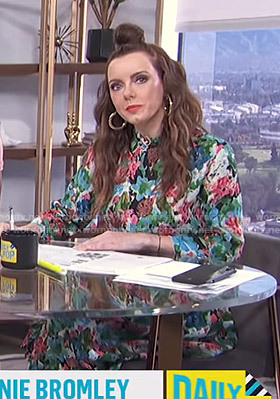 Melanie's paisley print jumpsuit on Live from E! 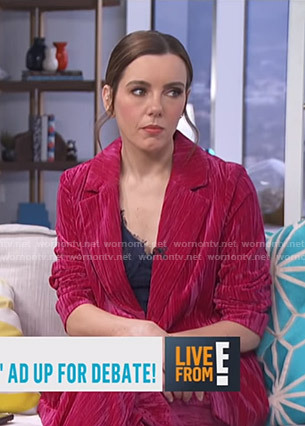 Melanie's pink velvet suit on Live from E! 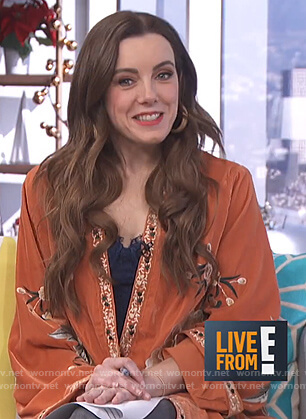 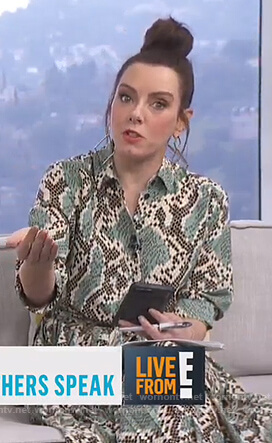 Melanie's brown floral embroidered kimono on Live from E!